The Star Pack sets you on a course to greatness in New Eden, giving you unlimited access to ships and skills with 1 month of Omega time. You also get2x Multiple Character Training Certificates, allowing you to train multiple pilots onthe same account simultaneously, as well as 500 PLEX to sell for ISK or spend in the New Eden Store. Total value for all items in ISK is 5.9 Billion+ as of in game values 02/02/2018. Actual ISK values may change over time. The value on this is excellent. $49.99 would buy you about 1430 PLEX. If you were to sell 1430 PLEX for ISK it would equal 4.6 billion ISK. This pack is worth about 5,9 billion ISK. This pack gives you 25% more bang for your buck! 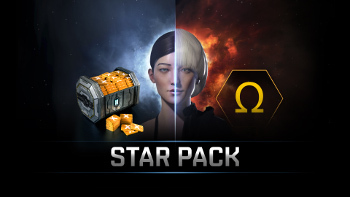 *Only one Eve Online Star Pack can be activated per account.If you question that you can apply one of these, we would encourage you to check your transaction history in your EVE account and look for "Star Pack" or "Star". If you do NOT see either of these you may apply one of these to your account. 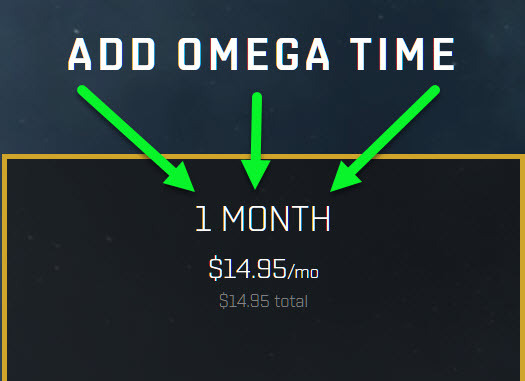 **You may either create a new account now or upgrade your existing ALPHA (free to play) to full OMEGA (subscription) account status. Please note that can only apply one of these to your account.. In-game items included with this code will show up in the redeeming system after logging in to EVE.